Sam (right) and Uttra Bhargava welcomed Dr. Eve Tsai (centre) as the new Suruchi Bhargava Chair in Spinal Cord and Brain Regeneration Research, announced on Aug. 13. 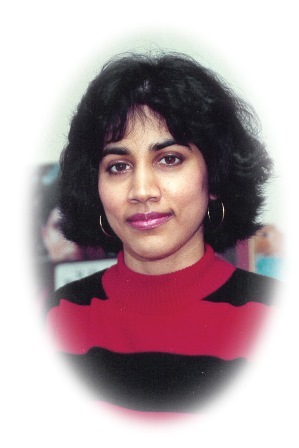 Suruchi Bhargava was hit by a drunk driver in 1989. The vibrant 23-year-old, an accomplished Kathak dancer, was left a quadriplegic, unable to move any of her limbs. But Suruchi never gave up hope of walking again and, after extensive rehabilitation, she did take a step. Sadly, she passed away a few weeks later. Suruchi’s parents, Sam and Uttra Bhargava, saw research as a beacon of hope for those whose lives are affected by spinal cord damage. So, they donated $500,000 to establish a chair for spinal cord research at The Ottawa Hospital, hoping that one day the results will help someone else’s loved one to walk. “We want to help others with spinal cord injuries take that first step and we believe research is the key,” said Mr. Bhargava. Suruchi Bhargava lived in a wheelchair for 16 years after a horrific car accident left her with spinal cord injuries. The Bhargavas knew that groundbreaking spinal cord research is happening at The Ottawa Hospital. Dr. Eve Tsai, a neurosurgeon and associate scientist at The Ottawa Hospital, is poised to make a difference in the treatment, repair and prevention of spinal cord injury. She is studying the potential of stem cells to repair damaged spinal cords, and is also working to change the way we treat spinal cord injuries. On Aug. 13, Dr. Tsai was appointed the first Suruchi Bhargava Chair in Spinal Cord and Brain Regeneration Research. Currently, there is no treatment for acute spinal cord injury. Surgery is performed on patients to stabilize their spinal cord, but no interventions or drugs are available to treat or repair the injury. However, Dr. Tsai is the lead investigator at the hospital in an international clinical trial to test the efficacy of using high doses of an antibiotic called minocycline, normally used for acne, to prevent secondary damage at the cellular level after a spinal cord trauma. The drug won’t repair the spinal cord, but it may prevent further injury. The Suruchi Bhargava Chair in Spinal Cord and Brain Regeneration Research is truly a beacon of hope. For those with spinal cord injuries, the first step may not be that far in the future.